18-year-old Yulia Polyachikhina from Cheboksary was crowned Miss Russia 2018 in Barvikha Luxur Concert hall in Moscow on April 14, 2018. 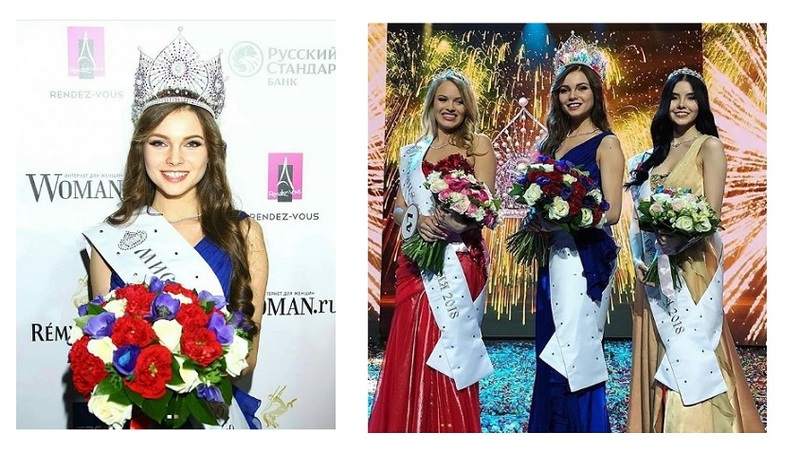 5'10" tall Yulia succeeded last year's winner Polina Popova and will represent the largest country in the world either Miss Universe or Miss World 2018 pageants. She is studying Journalism at the Chuvash State University. Meanwhile, Violetta Tyurkina and Natalia Stroeva won first and second runners-up respectively.